Should be taught in every college anthropology classroom. An unusual book for DC, even an time when comics were full of romance, war, and funny animals. Anthro is the creation of Howard Post, and the series is an absolute treasure. The prehistoric Anthro and his family fight for survival as they explore a dangerous world. Anthro even finds love along the way—and proceeds to steal her dad’s horse. While it only lasted seven issues (Showcase #74, Anthro #1-6), Post delivers a great ongoing story with wonderful art and interesting characters. The character has shown up a few times since, like in Justice League Europe Annual #2 and Final Crisis. Remember when Element Girl showed up in Sandman? I cried for days. 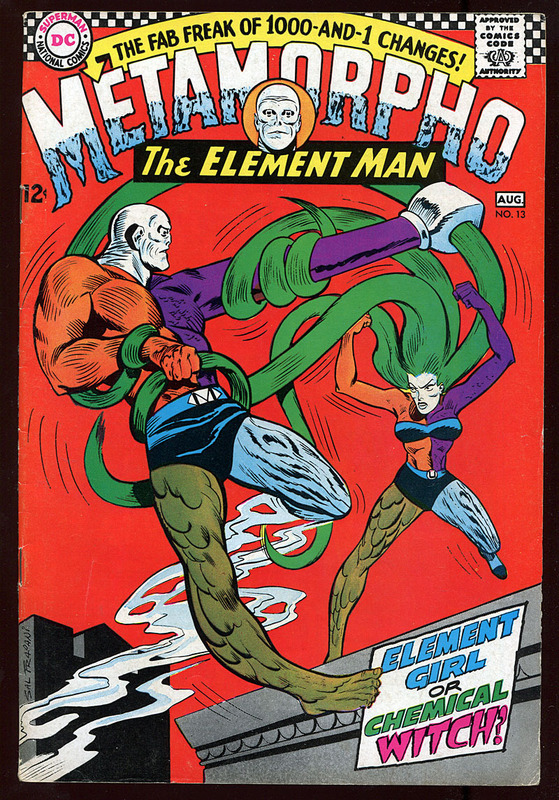 In an Egyptian pyramid, a magical artifact transforms adventurer Rex Mason into Metamorpho, the Element Man. He had only 22 major appearances in the Silver Age (Brave and the Bold #57-58, 66, 68; Metamorpho vol 1 #1-17; Justice League of America vol 1 #42). Bob Haney and Ramona Fradon created a wild book that defied my expectations. The supporting cast is kooky and fun, and I love when Element Girl makes her debut to shake things up. It doesn’t have much of the woe-is-me stuff I’ve come to expect from guys like the Thing. Metamorpho is a swinging cat with ladies fighting over his moneymaker. Sugar and Spike are two mischievous toddlers who communicate with baby talk. This is cheating a little, since the series spanned the ’50s, ’60s, and ’70s. But Sheldon Mayer, the man who rescued Siegel and Shuster’s Superman pitch from the slush pile, really shines in the psychedelic ’60s. The stories are adorable and often surreal, and the artwork is always top shelf. 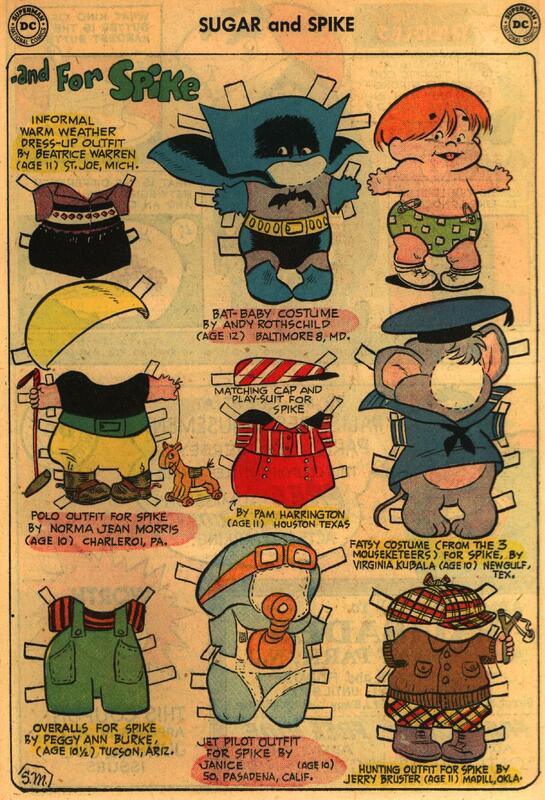 The paper dolls in every issue are fun, too. Better buy two copies. One to read and one to cut to ribbons! It’s his commitment to the bit that sells it. 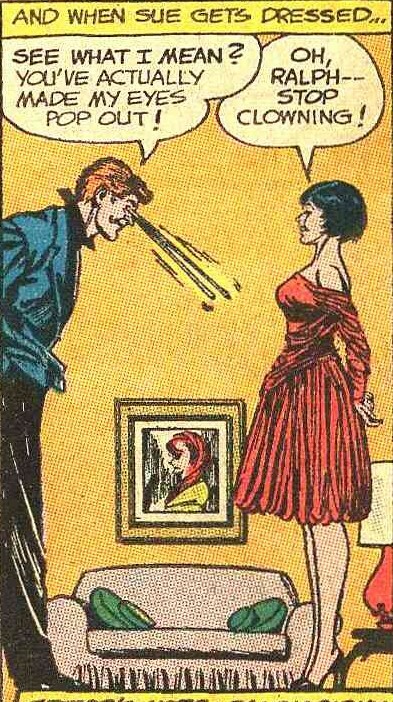 Ralph Dibny, the Elongated Man, is one of many stretchy superheroes. Julius Schwartz admitted that Elongated Man was only created because Schwartz didn’t realize DC had the rights to Plastic Man. But the character proved popular after his first appearances in The Flash, so he got his own backup feature in Detective Comics #327-383 (May, 1964-January, 1969), with sporadic appearances in Detective throughout the ’70s while he was a member of the Justice League. The back-up series was the superhero equivalent of a cozy mystery. Newlyweds Ralph and Sue travel the country, solving mysteries as they go. Ralph always claims to smell the mysteries with his stretched-out nose. The Elongated Man became a mainstay of the Justice League in the ’70s, ’80s, and ’90s. Unfortunately modern writers haven’t been kind to Ralph and Sue. Somewhere, I hope they’re still on their endless road trip, with Ralph sniffing out Barn Door Bandits and Invisible Bank Robbers. Silly Deadman. You’re a ghost. Those people can’t answer you. The first of many Arnold Drake creations on this list, but it was Neal Adams who made the series really sing. An intriguing story of Boston Brand, a murdered trapeze artist, who continues his existence as a ghost so he can solve his own murder. His ghostly ability to possess the living is pure genius, even if he almost always chooses the wrong person to possess. Hostage crisis? You think he’d take over the gunmen and just surrender. But noooo, he possesses the 98-year old grandma so he could surprise the baddie with a triple back flip. 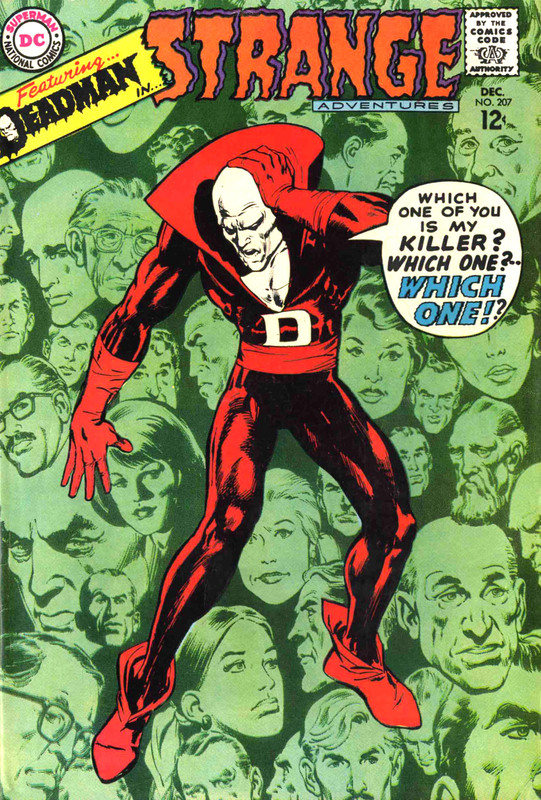 Deadman’s Silver and Bronze Age adventures are available in The Deadman Collection, which collects Strange Adventures #205-216, Brave and the Bold #79, 86, and 104, Aquaman #50-52, and Challengers of the Unknown #74. It’s a beautiful hardcover, but apparently Strange Adventures #206 is garishly recolored. Every panel looks this good. I don’t generally like cowboy comics (although Jack Kirby’s Rawhide Kid has a killer costume). But Bat Lash is a fun yet poignant subversion of the genre. He travels the west, smelling flowers, loving ladies, and reluctantly saving the day. The legendary Sergio Aragones (Groo the Wanderer, Mad Magazine) did the plotting, and Denny O’Neil handled the dialogue. Nick Cardy (Teen Titans, Aquaman) delivered the art, both pencils and inks. The combined talents of this team stunned me. I’m not surprised that this book received international recognition. 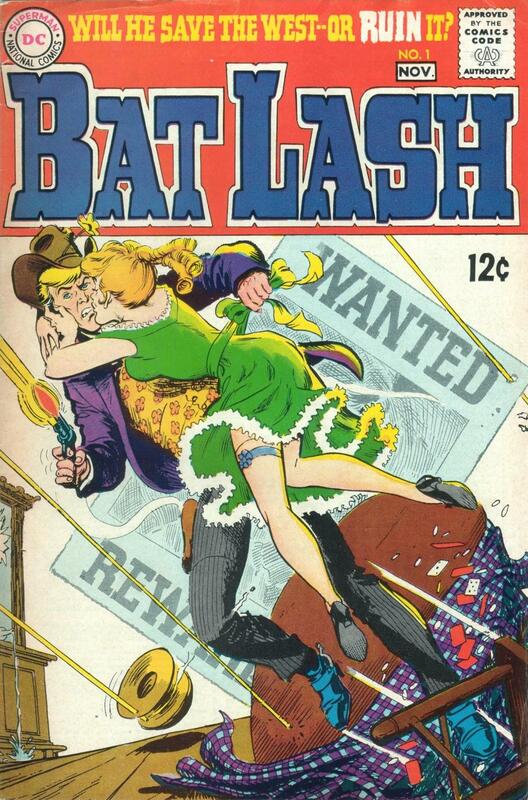 The ’60s run only lasted 8 issues (Showcase #76 and Bat Lash #1-7). Later, Bat Lash would show up in anything related to DC’s Wild West comics, including some cameos with other western heroes in Crisis on Infinite Earths. Aragones returned to the character for a miniseries in 2008. Stanley and his Monster and his Gremlin and his Leprechaun and his Skeleton. Stanley and his ever-increasing cast of ghosts, goblins, and monsters is pure magic. Arnold Drake and Winslow Mortimer crafted a strip that feels like Calvin and Hobbes, full of imagination and craftsmanship. 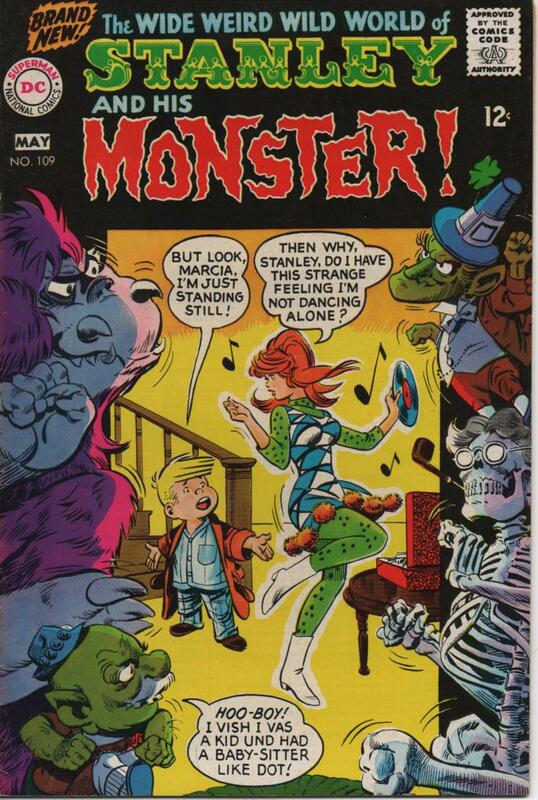 The series began as a backup in The Fox and the Crow #95-108 before the series was renamed Stanley and His Monster for issues #109-112. The series ended when Drake left DC. Somehow manages to be dramatic but not over-dramatic. Enemy Ace tells the story of Hans von Hammer, a German pilot in World War I. Hammer is a highly-skilled dogfighter, but he hates his transformation into a killing machine. He leads young pilots to their deaths, but he always returns home to hunt alongside a wolf living in the woods near his estate. I’m easier on war comics than cowboys, but it’s still hard for me to connect with them. Maybe it’s how the identical uniforms make it hard to empathize with the characters as individuals. Sgt Rock’s Easy Company and Sgt Fury’s Howling Commandos tried to solve this problem with extreme caricatures, but it’s the Hammer of Hell who finally reached out and grabbed. These stories heads and tails above any war comic that came before and most that have come since. Joe Kubert’s best work. The ’60s stories form a nice continuity, but are scattered across Our Army at War, Showcase, and Star-Spangled War Stories. 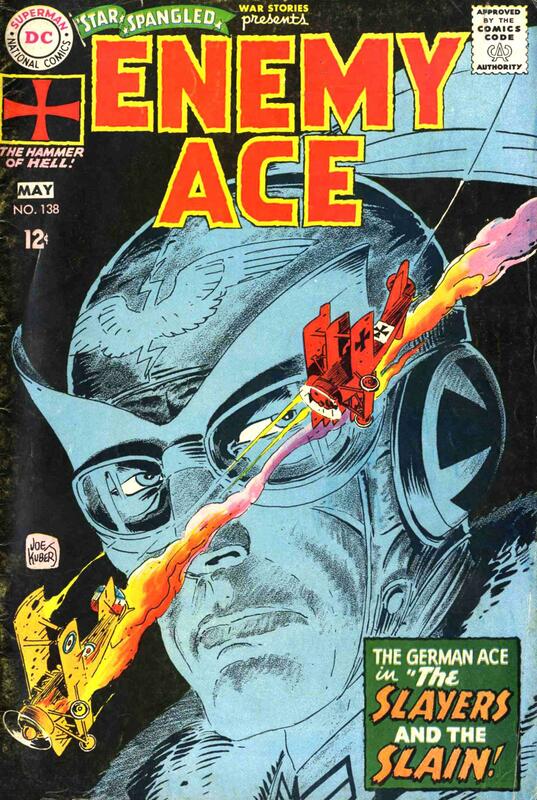 Hammer has had some nice appearances since, including the painted graphic novel, Enemy Ace: War Idyll . If a DC story takes place during WWI, it’s a safe bet Hans von Hammer will show up. 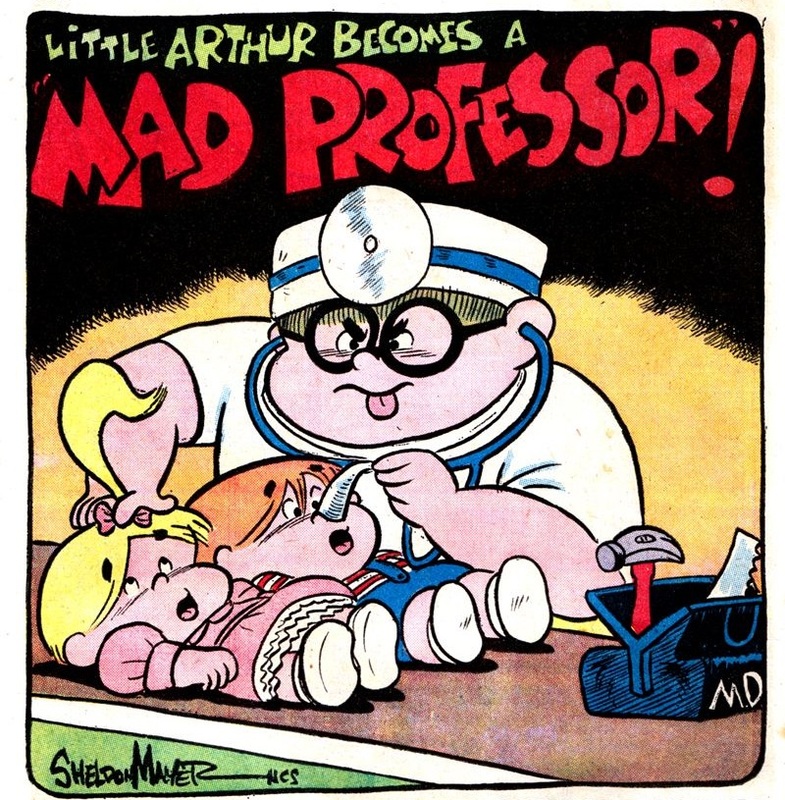 And you thought things only got weird when Grant Morrison was involved. Negative Man, who can project an energy being from himself for sixty seconds at a time but must hide behind radiation-blocking bandages. Robotman, who had his brain placed in a robot body after a horrible race car accident. Elasti-Girl, former Olympic athlete and Hollywood starlet who can grow into a giant. I always cry at crazy superhero space weddings. 1,000 years in the future, young heroes from across the universe meet in a big yellow clubhouse shaped like a rocket. In the team’s first appearance, Saturn Girl, Lightning Lad, and Cosmic Boy go to the past to recruit the Superboy who inspired them. The team grows to include members like Brainiac 5, Phantom Girl, Ultra Boy, and Dream Girl. Supergirl joins, and Lana Lang, Pete Ross, and Jimmy Olsen all become honorary members. There’s a Legion of Substitute Heroes for those that don’t quit make the cut, and even a Legion of Super Pets. Cheating a little again here, since the team first appeared in 1958. But the run in Adventure Comics #300-380 (1962-1969) is a landmark run of the Silver Age. 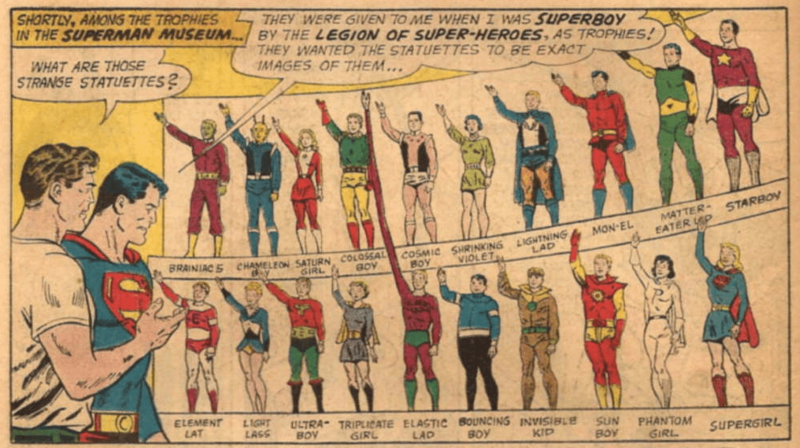 The Legion is known for its unusual characters like Bouncing Boy, Triplicate Girl, and Matter-Eater Lad, its quality stories by a teenage Jim Shooter, and beautiful art by Curt Swan and Win Mortimer. The Legion stories in Adventure feature some of the earliest hero perma-deaths in comics. 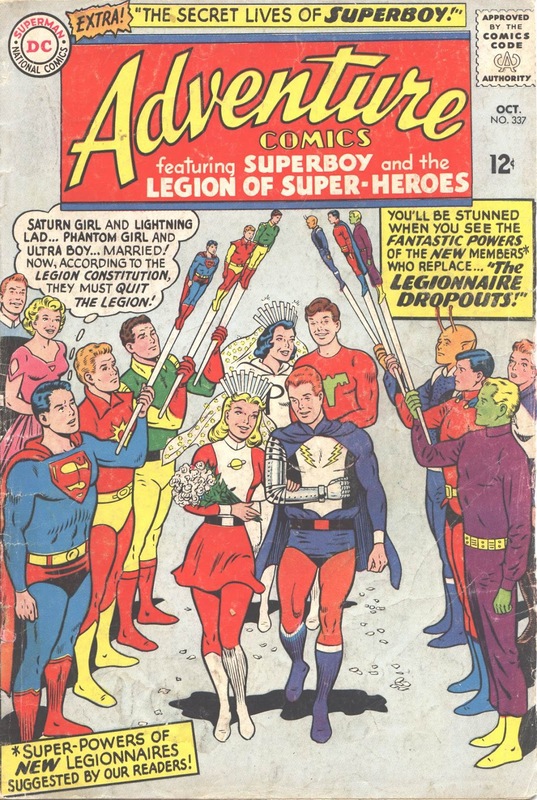 The Legion isn’t a hidden gem to its <ahem> legion of fans, but most folk haven’t heard of DC’s team of future heroes. It hasn’t had the same exposure as the more popular teams, which is a real shame. Can you imagine ’60s-style animated adaptations of the Shooter stories? I’d say we’ll never see the LOSH on the big screen, but with the way things are going, I may get my wish someday. At least their names are usually easy to remember. I’m surprised Power Girl never joined up. The various Legion series has an enormous cast are are notoriously difficult for new readers to jump into. But the still-growing world of the Silver Age Legion is a perfect entry point, where characters are first introduced and fleshed out. I would love to have a full set of the Legion of Super-Heroes DC Archives, but for now that’s just a dream. Honorable mentions: Horror, romance, Jerry Lewis, and Bob Hope. DC’S horror hosts like Cain and Abel are more identified with the bronze age, but most got their start in the late ’60s. The romance stories have wonderful art, but I don’t see why the target audience wanted so many scenes of women changing clothes. 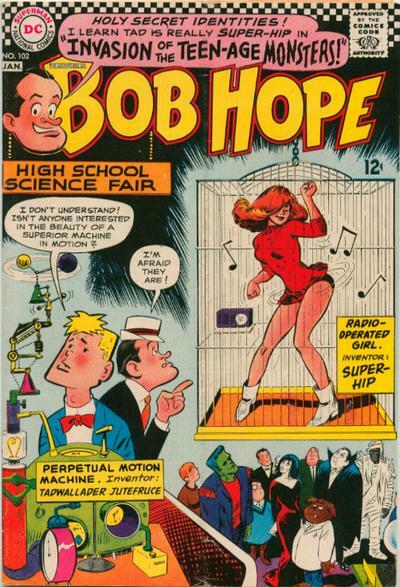 As for Jerry Lewis and Bob Hope, their series morphed into great humor comics in the ’60s. Thanks in part once again to Arnold Drake, Lewis and Hope added bizarre casts of monsters, super-powered rock-and-rollers, and Nazi war criminals. God save the Silver Age, Moriarty, and Dracula. Did I miss any of your favorite Silver Age hidden gems? Let me know in the comments. I love House of Mystery from this period. Dial H for Hero, Martian Manhunter. That’s a great title! Love all of those! The spy period for J’onn J’onzz was strange, but it was so much fun. Hated he was out of JLA for so long in the late ’60s after his backup stories ended. Those series are amazing, especially Angel and the Ape! If they’d lasted any longer, they’d both have made the list. Others that nearly made the cut were Eclipso, Mark Merlin, Johnny Peril, and Secret Six. I think you need to clarify that Sergio Aragones did not draw any Bat Lash, as most fans would think of him mainly as “that zany cartoonist”. In fact, actual penciller the legendary Nick Cardy deserves a mention. Thank you for pointing that out! I edited the post and credited you with the observation. Some title covers I haven’t seen in years. Wow! Now to find a few. Thank you so much for your effort in creating this blog post. Totally agree on including ANTHRO as a hidden gem!! Glad to see someone point out Marie Severin’s DOCTOR STRANGE in a public forum. 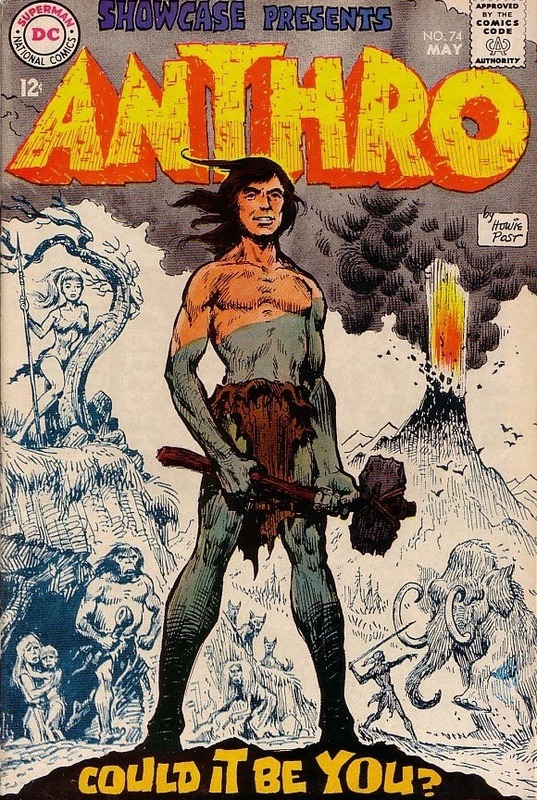 It’s very good, as is Dan Adkins’ version, as is Bill Everett’s (though he’s at his lowest artistic ebb), and they get overlooked because they had to follow Ditko. Likewise her SUB-MARINER, following John Buscema. Makes me think of Gil Kane in the 1950s at DC, inheriting multiple series from Alex Toth…how ya gonna follow that? 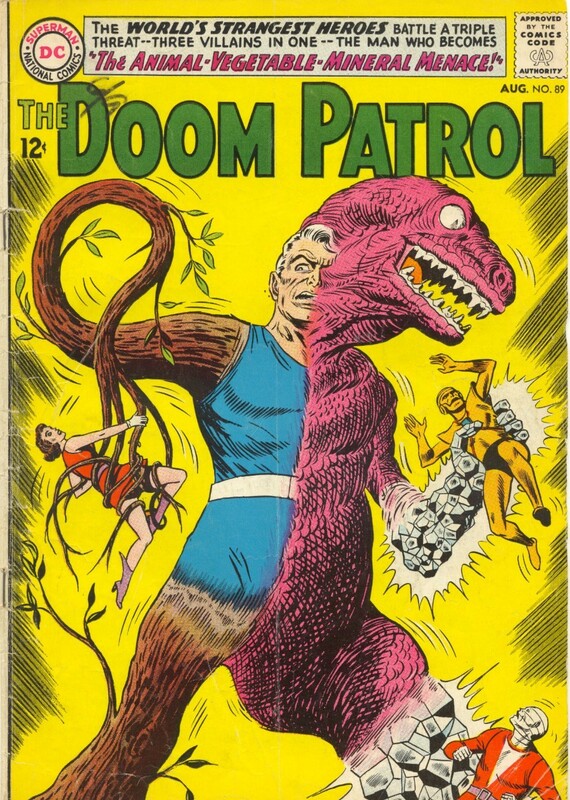 Another hidden DC treasure is the Mike Sekowsky METAL MEN in all its quirkiness…though I consider it more a first trump of the Bronze Age than a Silver Age comic. And one not yet mentioned: the “Space Museum” series that ran every third issue of STRANGE ADVENTURES (# 109-157 & 161), drawn AND inked by Carmine Infantino. The Silver Age had so many great artists. Definitely a fan of Sekowsky’s Metal Men. And I love the strange corners of DC’s sci-fi stories, and Space Museum was a great example. Adam Strange, Atomic Knights, and Space Taxi are some of my favorites. Thanks for taking the time to comment!